A Platter of Thoughts, Wine!! Valentine’s day is fast approaching. The hubby and I always do something fun at home. We cook a nice dinner and enjoy it after the kiddies go to bed. Usually we have some champagne or wine. But I think this year we will be enjoying some cherry cordial cocktails that the hubby made. I went ahead and garnished with a cherry and some shaved dark chocolate. Perfect for a night of romance. Happy Valentines day!! Place ice, vodka and chocolate wine in shaker. Pour into glass and garnish. Valentine’s day is right around the corner. 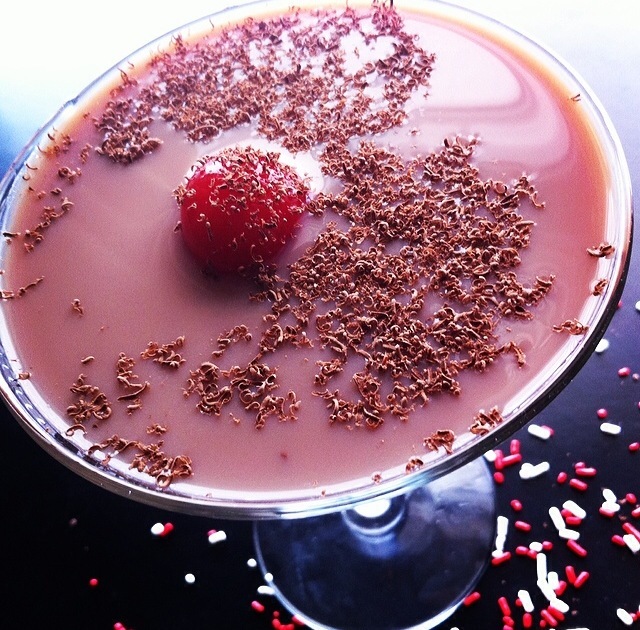 Here is a great cocktail to make for your sweetie. Looks really good. I do have chocolate red wine! !